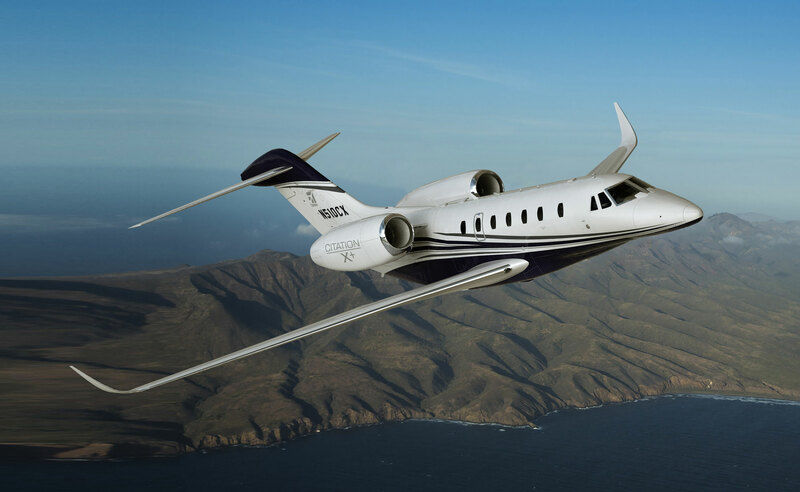 Textron Aviation has confirmed it is ceasing production of the Cessna Citation X+, ending a more-than-21-year manufacturing run for the Mach 0.935 twinjet and its predecessor, the Citation X. The Mach 0.92 X was announced at NBAA 1990 and certified in June 1996; the upgraded Citation Ten, later renamed the X+, was revealed at NBAA 2010 and certified in June 2014. To date, the company has delivered 314 Xs and just 24 X+s. “We continuously monitor the market as it fluctuates and adjust our product offerings as necessary,” a Textron Aviation spokesperson told AIN. “The Citation X platform has a storied heritage…and has become a beloved aircraft by operators and passengers alike as the fastest civilian aircraft in the world. With the upcoming entry into service of the Citation Longitude, we are taking the opportunity to minimize overlap within this customer segment and discontinuing production of the Citation X+.” Both the Longitude and X+ can seat 12 passengers and have about 3,500 nm of range.